Uptown People's Law Center hasn't added a story. Over the past year, as gender-based violence has received some mainstream attention, the struggles of criminalized and incarcerated survivors have often been left out of these conversations. However, women, trans, and gender non-conforming people of color continue to be policed and imprisoned for their efforts to survive. Love & Protect is steadfastly committed to supporting survivors of color who are criminalized or harmed by state and interpersonal violence. We can’t do this work without you, our community! In order to continue supporting survivors, we need your help. Therefore, we are excited to announce Love & Protect’s Sustaining Survivors Donor Campaign. We ask that you become a monthly donor to help fund our direct support to criminalized survivors. By donating, you will help incarcerated survivors pay for their daily needs, including things like food, undergarments, clothing, and hygiene products. Your donations will also help us build our emergency fund to support survivors in Illinois who have recently been released from jail or prison. These funds will go towards basic needs such as housing, transportation, and food. Moreover, as a sustaining donor, your support will serve to combat the isolation and deprivation of incarceration and its aftermath. Every month, your support will remind survivors that they are neither alone nor forgotten. 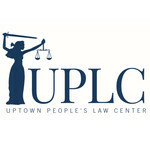 Uptown People's Law Center is a 501(c)(3) organization and fiscal sponsor for Love & Protect. All donations are tax-deductible. Uptown People's Law Center hasn't posted any updates yet. Uptown People's Law Center is managing the funds for this campaign.